we planted some starts late in the growing season last year. i can't even quite remember when. maybe august? we got a few cabbages and cauliflower starts, but didn't expect too much. 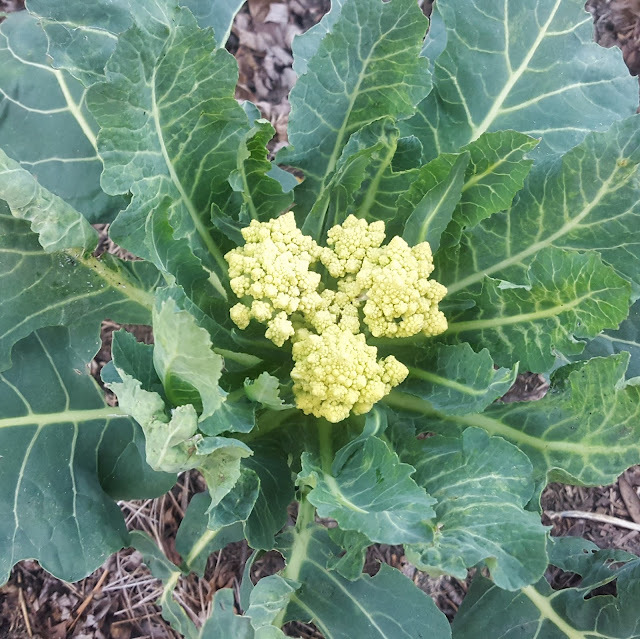 lo and behold, the cauliflower is making some beautiful and delicious growth! the cabbages have been eaten by bugs and slugs for the most part, but who knows - they could surprise us! it's the first time i have ever grown cauliflower (though i may have attempted it before). we have also had some nice kale lately, and the calendulas have been flowering throughout this mild winter...so far at least. 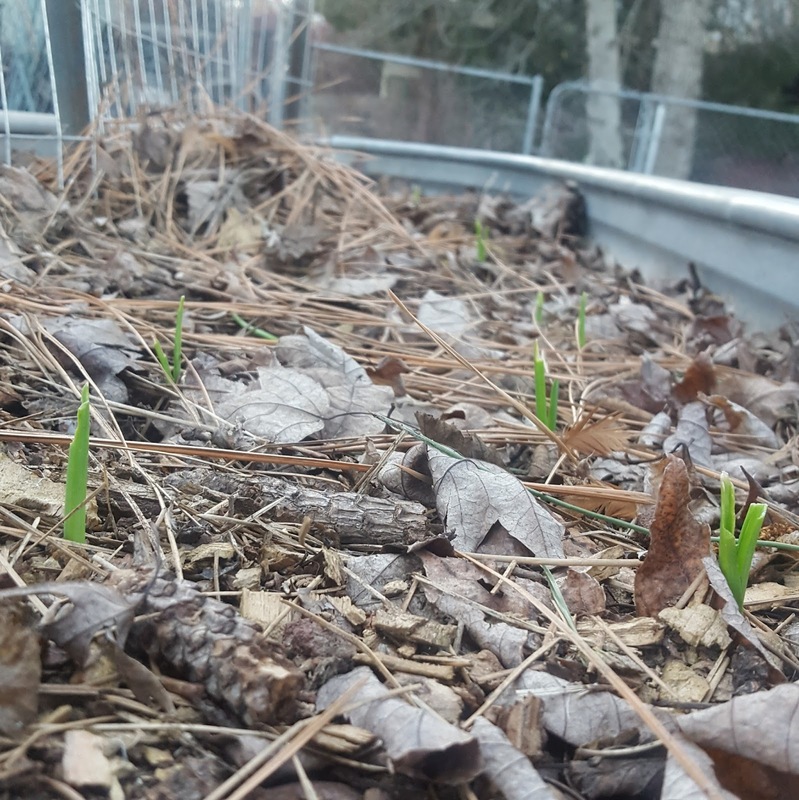 another first for me - i also got some garlic in this fall, and hurray! it is beginning to come up! we made these planters out of troughs, and they have been a fun way to add growing space. last year i was inspired to grow flowers, so these held sweet peas and had room for carrots too. i just put some new sweet peas in as well (the floral kind, not the food variety.) it has been lovely to find organic flower seeds at Siskiyou Seeds. our weather has been so warm lately - i really feel like planting more! right! now! but we just prepped some pots instead. 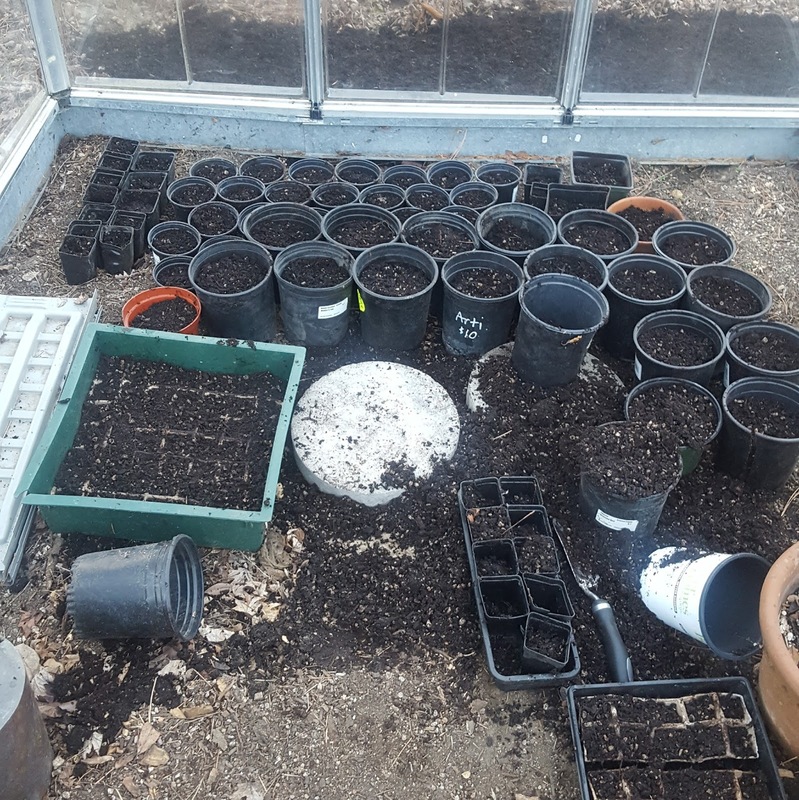 we have a sweet little greenhouse, but unfortunately it has not held up very well, so it won't really protect seedlings if there were frosty nights. (what with the open roof and all.) looking forward to seeing what grows this year. wondering what garden excitement you are dreaming up?